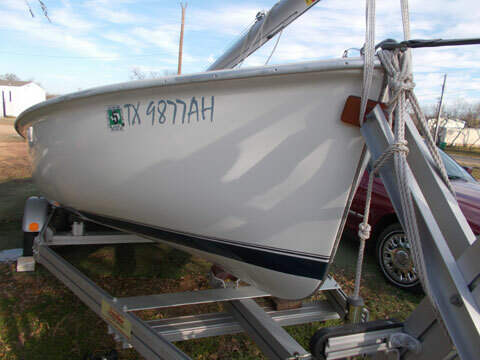 "Scamper" has white hull and deck, dark blue water line color and dark blu pin stripes (short upper with Flying Scot decal), white spatter only on floor, fiberglass centerboard cap. 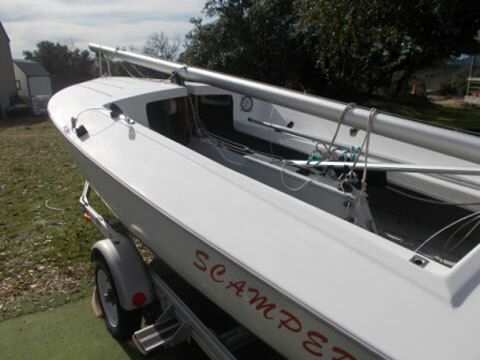 We purchased "Scamper" in 2006, and received delivery in 2007. We were so excited about sailing with the Flying Scot Fleet at LCYC, and managed to sail a few races but not as much as we wanted. 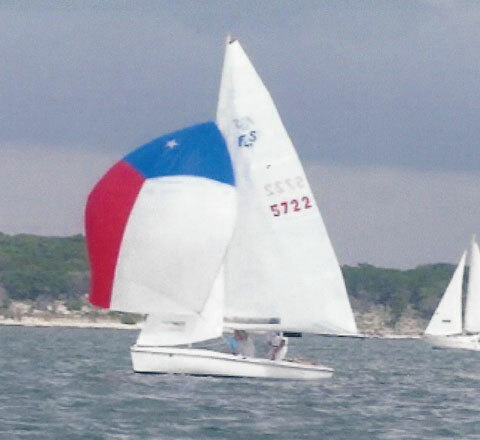 Scamper's last sail was 5 years ago - she has been garaged but had been sailed so seldom that the original sails are still in perfect condition! Our health problems kept her in dry-dock. 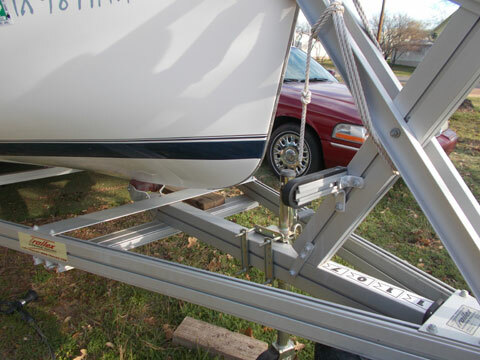 The boat is fast and to comply with FS one-design specs, we had to add the swim ladder and kit to meet proper weight! We had wanted a swim ladder anyway! Because of the many upgrades to the boat, and the lack of sailing time, we are asking $15,000 for everything including all accessories! 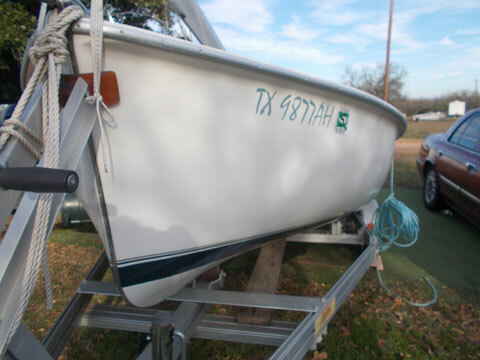 We live in Kingsland Texas and would be happy for you to come see the boat any time � just give us a call to make sure we are not at hospital for chemo treatments AND to give you directions!